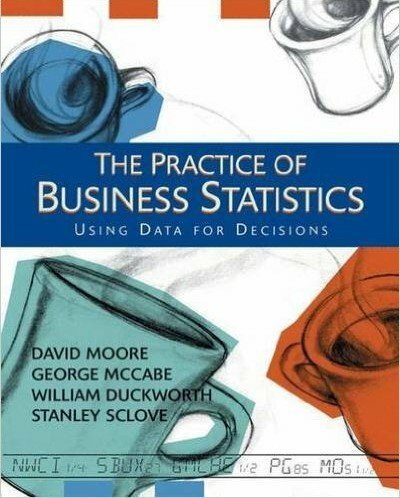 This text brings the same data analysis approach to business statistics that has made lead author David Moore the best selling author in today's Stats market. The Practice of Business Statistics shows students how to analyze data and make informed decisions in today's business world. Real world applications from accounting, finance, marketing, manufacturing and other areas of the business world add relevancy. DAVID S. MOORE, Purdue University, USA. - GEORGE P. MCCABE, Purdue University, USA. - WILLIAM DUCKWORTH, Iowa State University, USA. - STANLEY SCLOVE, University of Illinois at Chicago, USA.